Some 28 people in the United State are killed daily due to automobile accidents that involve an alcohol-impaired driver, according to the Centers for Disease Control. This amounts to one preventable death every 53 minutes in the U.S. as a result of someone driving while intoxicated. In 2014, nearly 100,000 people were killed due to alcohol-related auto accidents, which accounted for nearly one-third of all traffic-related deaths that year. Additionally, 1.1 million drivers were arrested in 2014 alone for driving under the influence. According to Mothers Against Drunk Driving (MADD), driving under the influence was responsible for 247 deaths last year in Alabama, which accounted for 29 percent of all of the state's driving deaths. This was, however, down 6.8 percent from the previous year. Beginning in 2016, law enforcement in every state, including Alabama, started enforcing the national slogan, "Drive Sober or Get Pulled Over." This slogan was updated from the previous campaign, "Drunk Driving: Over the Limit, Under Arrest" to reflect the increasing possibility that drivers can be under the influence of substances other than alcohol. If your BAC is .08 or higher, you are considered legally intoxicated and unable to operate a motor vehicle. If you are under 21 years old and your BAC is .02 or higher, you are considered intoxicated and unable to operate a motor vehicle. If you are a commercial truck driver and your BAC is .04 or higher, you are considered intoxicated and unable to operate a motor vehicle. 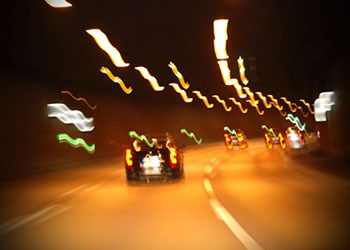 In all of the above cases, you are subject to being arrested and charged with driving under the influence (DUI). The Alabama drunk driving accident attorneys at Hollis Wright specialize in alcohol-related claims involving those who have been injured or killed by an impaired driver. Josh Wright, managing partner at Hollis Wright, consistently lobbies the Alabama Alcohol Beverage Control Board for higher insurance liability limits in alcohol-related cases. Specifically, Josh eliminated the "eroding" insurance policies in Alabama with his amendment to the Alabama ABC Board Regulations in 2010. An "eroding" insurance policy refers to a policy in which attorney fees are included in the insurance policy limit, so the amount available to settle a claim "erodes" as attorney fees are paid. Bars and restaurants, in the past, may have had this type of policy in place to cover their liability in the event that a waiter or bartender over serves a customer, resulting in an alcohol-related accident. If the bar or restaurant is sued as a result of the customer being over served, then the cost and attorney fees associated with defending the claim would reduce the amount of available insurance coverage for injured victims. Bars and restaurants typically like this type of policy because it allowed them to comply with the insurance requirements imposed by the ABC Board while paying much lower premiums for coverage. However, injured victims routinely received less compensation for their injuries. Thanks to the hard work of Josh Wright and others, bars and restaurants are no longer allowed to carry this type of insurance in Alabama. Our attorneys also regularly give presentations at seminars on alcohol-related cases and have had success in litigating such cases with excellent economic results for our clients. The firm has handled cases involving drunk driving, as well as cases involving bar fights, guns, domestic injuries, and property damage, as related to alcohol or substance over indulgence. Damages can be claimed against the intoxicated driver or the server or the establishment that provided the alcohol to the intoxicated person. Alabama has a statutory law that protects people who are injured as a result of the unlawful sale or furnishing of alcohol to someone who causes an injury to another person as a result of intoxication. This law, called the Dram Shop Act, ensures that establishments that serve alcoholic beverages do so in a responsible manner, or face being held responsible for possible damages caused by an intoxicated individual's actions. What is serving in a responsible manner? Essentially, the server cannot legally serve a customer or patron who is showing signs of "visible intoxication" and/or cannot serve a patron or customer that, based upon the "totality of circumstances," the server should reasonably know the patron will become intoxicated. Alabama also has a law called the Alabama Civil Damages Act that protects against minors being served or furnished alcohol. If a bar or restaurant serves alcohol to a minor, and knows or has reason to know the person is a minor, then they can face legal repercussions for serving said minor. This applies whether an injury results from the action or not. If you believe you have a viable claim under the Alabama Dram Shop Law or Civil Damages Act, contact Alabama drunk driving accident attorneys at Hollis Wright as soon as possible. The longer you wait, the less likely you are to receive the compensation to which you may be entitled. We will immediately work with you to gather the facts of the motor vehicle accident. Additionally, we will talk with all involved in the alcohol service. Contact us for a free consultation. Our attorneys will work on a contingency-fee arrangement, meaning that we only receive payment if we recover money on your behalf.